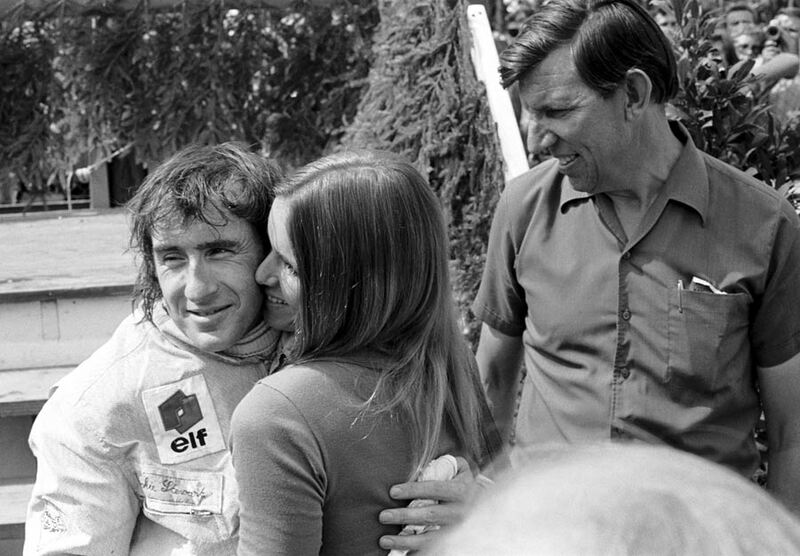 Jackie Stewart's win at the German Grand Prix - his fifth victory in seven races - gave him an almost unassailable lead in the drivers' championship, and Tyrrell's superb weekend was underlined when Francois Cevert came home second. Stewart left the Nürburgring with 51 points, 32 clear of Jacky Ickx who was a distant second. It was a remarkable weekend for Stewart, who on the Friday destroyed the lap record, carving 24.8 seconds off Ickx's time set two years earlier. All times were fast - 16 drivers broke the old record in practice, but Stewart was the quickest by more than three seconds. The reason was a combination of better tyres and considerable work undertaken since 1969 to make the track safer, with bumps ironed out and miles of barricades added. In the race, Stewart broke the lap record six times - including on the first lap when he trailed Ickx until passing him in front of the grandstand and then slowly moving clear. Ickx's day got worse on the second lap when he skidded off at Wipperman corner, damaging his car but not himself. By then Jo Siffert had passed both Ferraris in an audacious single overtake, but his BRM lost power and soon after retired, and two laps later Cevert passed Clay Regazzoni who had briefly assumed second. Denny Hulme pitted with fuel pouring from his McLaren, leaping out and ripping off his petrol-soaked overalls, while Vic Elford spent time repairing his own BRM before resuming. Graham Hill finished ninth despite sitting on the grid for three-and-a-half minutes at the start as his Brabham refused to budge. Stewart eased off in the final laps but was still more than half a minute ahead of Cevert when he took the flag, with Regazzoni back in third.